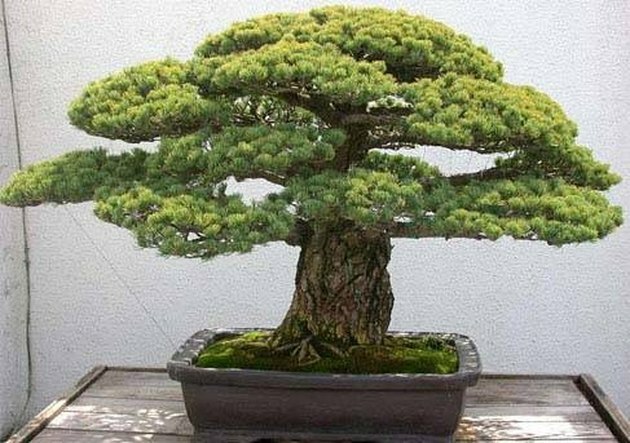 Bonsai is a technique of dwarfing trees by curtailing their growth, and nearly any perennial species can be grown as a bonsai. The trees are grown in small containers with very little soil and pruned frequently to limit their growth. 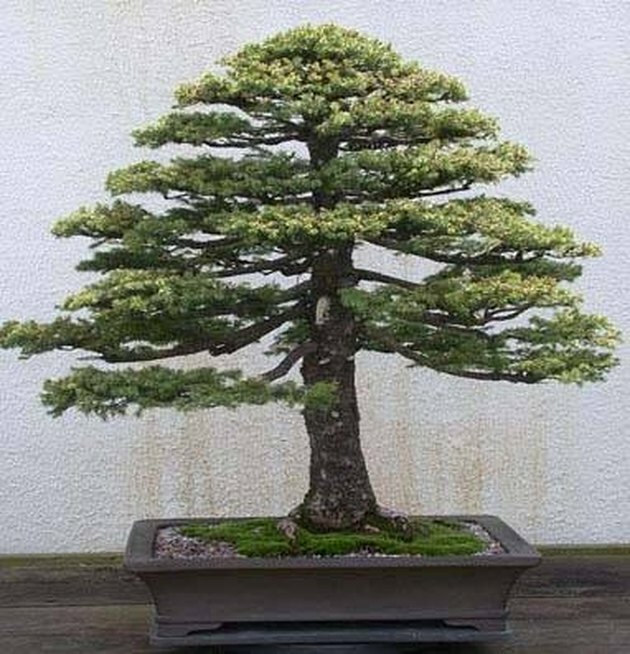 Popular choices for beginning bonsai growers include maples, elms, ficuses and cedars. Because most trees require an annual summer and winter cycle, they're more successful when grown outdoors and exposed to natural sunlight and climate conditions. Choose a species that thrives in your growing zone. Take into account extremes of heat or cold and high or low humidity. Plant cuttings or seeds in a small container in the springtime or early summer. Cuttings give most trees a head start, but some trees must be grown from seeds. Choose a premixed bonsai soil or mix your own. The soil needs to hold moisture but should have low organic content. Water sparingly but often. Don't saturate the tree's roots. Fertilize the tree regularly, as watering will flush nutrients from the soil. 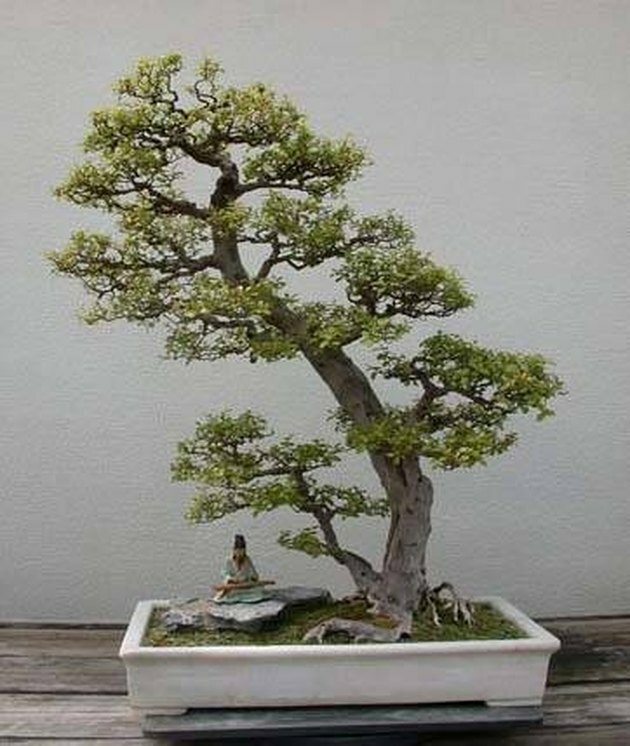 Limit the trunk's growth and select a few main branches to give the tree its shape. Prune other stems shortly after they appear. 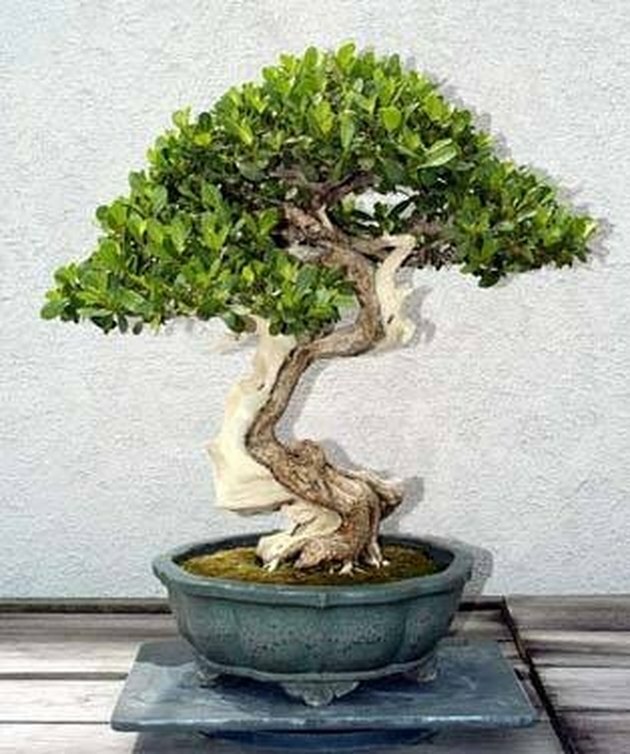 Repot the bonsai tree and prune the roots during its dormant season. This will encourage growth of new feeder roots and prevent the plant from becoming rootbound.